[COM] 10,000 Instagram Ball Room! Su Habbo.com puoi ricevere un distintivo commemorativo inerente al raggiungimento dei 10k seguaci sulla pagina instagram @habboofficial. Celebrating 10,000 followers on Instagram! 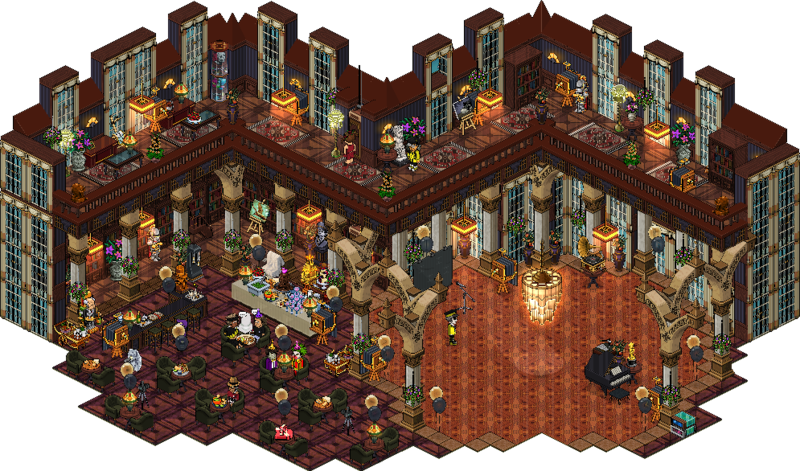 Here's a big thank you from all of us at Habbo HQ (and a lovely golden badge for all you collectors!) Room by Pulx. Re: [COM] 10,000 Instagram Ball Room!